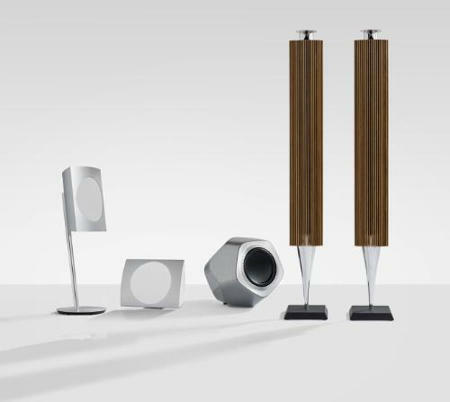 When it comes to the name Bang & Olufsen, you know for sure that your ears are in for a treat. Of course, quality comes with a price, and do not expect any of the Bang & Olufsen products that you read about here today to arrive cheap as they will most probably make a considerable dent in your bank account. Still, if you are in the market for wireless speakers and would like something which merges both form and function without worrying about how much it costs, then the trio of Bang & Olufsen wireless speakers ought to fit you to a T. These three speakers will take advantage of the new WiSA standard for multi-channel wireless sound, delivering acoustic performance beyond anything you have heard without cables, and they would arrive in the form of the BeoLab 17, the BeoLab 18, and the BeoLab 19. The BeoLab 17 comes across as an extremely flexible, compact speaker that boasts of extremely large sound reproduction, while the BeoLab 18 would be the most recent incarnation of Bang & Olufsen’s sculpturally iconic audio columns when it comes to walls and floors. Last but not least, there is the BeoLab 19 which is a radically redesigned subwoofer that is capable of pumping ot refined bass with a visceral punch, with looks that could kill. As mentioned earlier, they will all arrive with integrated WiSA standard for that added level of convenience. Apart from that, the BeoLab 18 will feature an acoustic lens tweeter and 21-lamella front that arrives in solid oak, black or white shades, being a quantum leap in the evolution of Bang & Olufsen’s signature column speakers. As for the BeoLab 17, it will feature a wedge-like form that makes it a snap to place just anywhere, ranging from bookshelves to walls. Not only that, BeoLab 19 is a subwoofer that will draw on the extraordinary rigidity of a 12-faced dodecahedron and a pair of drivers operating in-phase to eliminate unwanted vibrations. Of course, most of us would be asking by now just how much these will cost? The BeoLab 17, 18 and 19 wireless speakers will be available from this month onward, retailing for $3,990, $6,590 and $3,395, respectively.